Sunday, March 2/14, 7:30 p.m., doors open 7 p.m. EVENT: The Jewish Exodus From Arab Lands 1947-1967, PART FOUR OF FIVE: ‘Farewell Babylon‘: Naïm Kattan, author of Farewell to Babylon, 1976, will present a personal view of a Jew from Iraq, the long history of Jewish life there and its destruction by Arab nationalism and Islamism. Naïm Kattan, is a Canadian novelist, essayist and critic of Iraqi Jewish origin, born in Baghdad and educated in Baghdad and France. 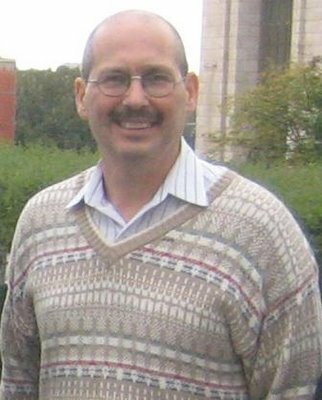 He is the author of over 30 books in several languages and has received honours in both Canada and France. In 2013, the Canadian director Joe Balass directed a documentary titled La longueur de l’alphabet avec Naïm Kattan about Kattan’s literary legacy. VENUE: Congregation Darchei Noam, 864 Sheppard Avenue West, Toronto, ON M3H 2T5. ADMISSION: $5 for members & students. $10 for non-members. Light refreshments served. ORGANIZER(S): Andria 647-345-6249, aspindel@rogers.com, or Stuart 647-968-9382, da7jo4@gmail.com. EVENT: ‘When Politics Are Divorced From International Law — The Truth About Israel’s Legal Rights,’ presented by Salomon Benzimra.’ Salomon is the author of ‘The Jewish People’s Rights To The Land Of Israel‘ and co-founder of Canadians For Israel’s Legal Rights (www.CILR.org). An introductory summary of his book can be found here. Also, Mark Vandermaas, founder of Israel Truth Week, will share lessons for Israel advocates seeking practical advice on pro-active responses to anti-Israel propaganda. A preview of his experience and insight in this topic can be found here. VENUE: Adas Israel Congregation, 125 Cline Avenue South, Hamilton. MAP. ADMISSION: Free event open to the public. 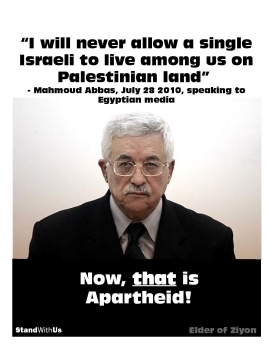 ORGANIZER(S): Never Again Group, neveragaingroup@cogeco.ca; Israel Truth Week. EVENT: ‘Ignoring Christian Persecution While Promoting Israeli Apartheid,’ presented by journalist, writer and award-winning talk show host and producer, Christine Williams. She has conducted over 1600 live interviews at CTS TV, where she also launched four programs—one in conjunction with Christian Post in Washington and New York. She has also served as guest Host and news producer for 100 Huntley Street. Christine’s writings have appeared in FrontPage Magazine, U.S.A. Today Online, Wall Street online, Jihad Watch, the Middle East Forum’s Campus Watch & The Legal Project; and the Gatestone Institute — an International Policy Council in New York — where she is now on the Board of Governors. Christine is a member of the Friends of Simon Wiesenthal Center Task Force Against Anti-Semitism, and is currently writing a book exploring Islamic Reform. She also serves as Public Affairs and Media Consultant to the International Christian Embassy Jerusalem (ICEJ) in Canada. VENUE: The First Unitarian Church of Hamilton, 170 Dundurn St. South, Hamilton. MAP. ORGANIZER(S): Never Again Group, neveragaingroup@cogeco.ca. 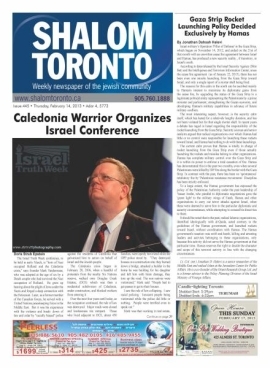 ORGANIZER(S): 1.Canada-Israel Friendship Association, Ilana Shneider: ilana@canada-israel.org; 2. 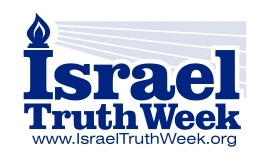 Israel Truth Week, Mark Vandermaas, mark@israeltruthweek.org. Saturday, March 29/14, 6:00 p.m. EVENT: Picketing/protest vs. the National Council of Canadian Muslims at the ‘NCCM 2014 Gala.’ Robert Spencer, one of the world’s leading experts on Islam will be joining the picket. Sunday, April 6/14, 7:30 p.m., doors open 7 p.m. EVENT: The Jewish Exodus From Arab Lands 1947-1967, PART FIVE OF FIVE: ‘The Jews Of Libya’: Dr. Gina Waldman, Founder of JIMENA (Jews Indigenous to the Middle East and North Africa), San Francisco, will speak from personal experience of discrimination and persecution and her battle to win recognition of the nearly one million Jews who were forced to flee their homes in Arab lands from 1948–1970. She vividly recalls that as a young child she faced adversity when going to school in an Arab country. She has lived in the US for the past 35 years where she has dedicated herself to the cause of freedom and the defense of human rights. Born Regina Malaka Bublil in Tripoli to a family that had lived in Libya for centuries, she was persecuted, nearly murdered and brutally expelled from her homeland in 1967, because she is Jewish. Waldman co-founded JIMENA in 2002 to bear witness to the suffering of Jewish refugees from Arab lands. 1. 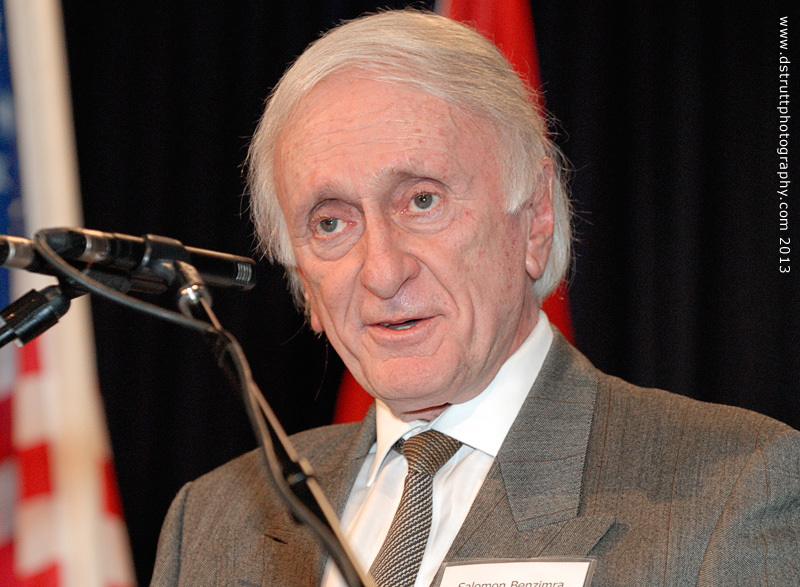 DR. ANDREW BOSTOM: author of The Legacy of Jihad (Prometheus, 2005) and The Legacy of Islamic Antisemitism ” (Prometheus, November, 2008). His next book is entitled Iran’s Final Solution for Israel: The Legacy of Jihad and Shi’ite Islamic Jew-hatred in Iran will be released in March 2014. 2. 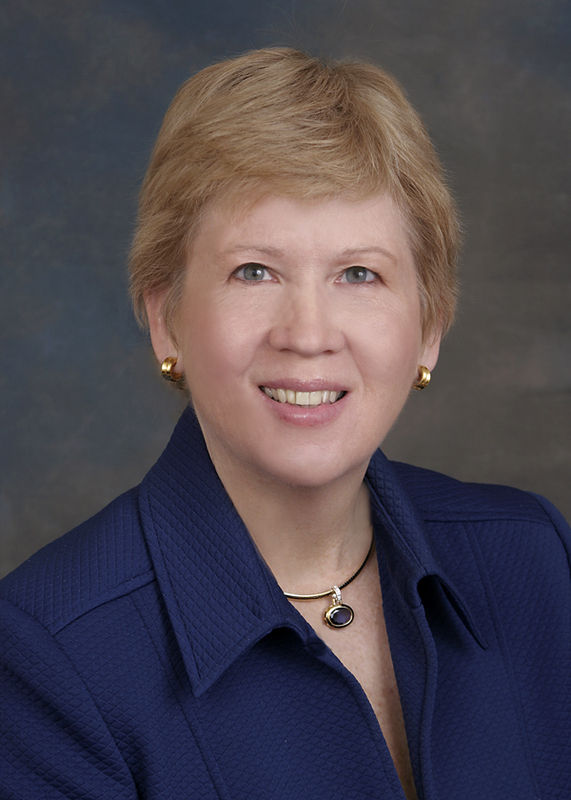 CLARE LOPEZ: strategic policy and intelligence expert with a focus on national defense, Islam, Iran, and counter-terrorism issues. Ms. Lopez is a regular contributor to print and broadcast media on subjects related to Iran and the Middle East. ADMISSION: $15 cash/cheque payable at door. ORGANIZERS: Hausman Memorial Speaker Program; JST Events Management. Contact: Rabbi Jonathan Hausman, rabbijhaus@aol.com. 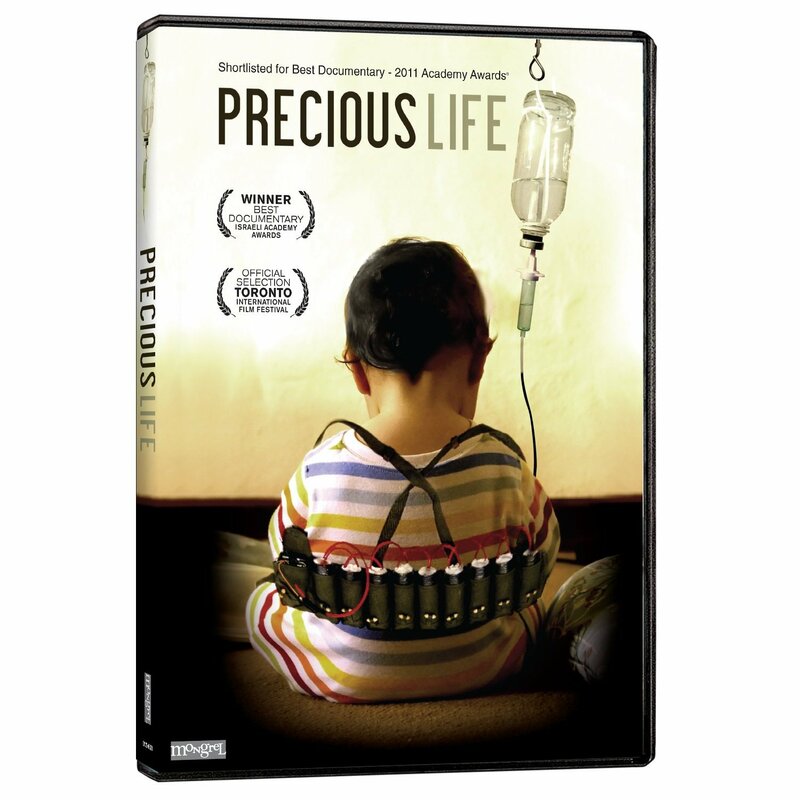 EVENT: Screening of ‘PRECIOUS LIFE” documentary film about Israeli doctor who saves life of Palestinian child whose mother then says she hopes her son will grow up to become a suicide bomber. [Trailer/info]. Discussion following. ADMISSION: Free, but donations to the children of ALYN Hospital, Jerusalem gratefully accepted via credit card or cash/cheque at the door. Canadian income tax receipts issued. 2. 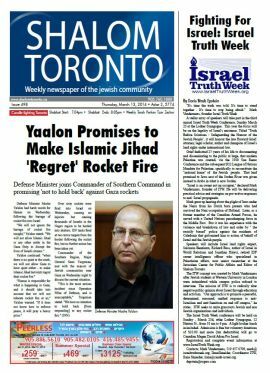 Use the ‘Fund/Designation‘ drop-down menu to choose, ‘Israel Truth Week – London, ON. Fund‘ and then fill in the details of your donation. Thank you! SPEAKERS: Dean Bye (Return Ministries, Board of Trustees for Magen David Adom); Monica DiFrancesco (Return Ministries, fundraiser for MDA); Andrew Lawton (The Landmark Report); Rev. Joe Campbell; Mark Vandermaas (Israel Truth Week). Bring Israel & Canadian flags; StandWithUs signs will be provided. VENUE: Ryerson University, Kerr Hall South, 2nd floor, Room 239; enter through Gould Street. EVENT: ‘Shariah’s Assault on Free Speech: Warriors Who Refuse to Be Silenced,’ presented by the Hausman Memorial Speaker Program. ADMISSION: $15 p/p advance; $20 at door; $10 Students; Advance tickets here. DAY 1 (Mar 5), afternoon session: 1-5pm, doors open 12:30. DAY 1 (Mar 5), evening session: 6:30-10, doors open 6:00. ADMISSION: Free, but donations to The Children of ALYN Hospital, Jerusalem gratefully accepted. THIS EVENT HAS BEEN REPLACED (DUE TO FAMILY ILLNESS) WITH NEW EVENING SESSION AT VICTORY INTERNATIONAL CHURCH W/REV. MAJED EL SHAFIE OF ONE FREE WORLD INTERNATIONAL. FREE Yad Vashem-sponsored bus trip from London & Hamilton to April 23/12 National Holocaust Remembrance Day ceremony & reception, Ottawa, ON, Canada. Sponsored by Canadian Society for Yad Vashem. Return home same day. Need 50 people to commit in order to confirm trip. Click link above for details, registration info & photos from 2011 ceremony. 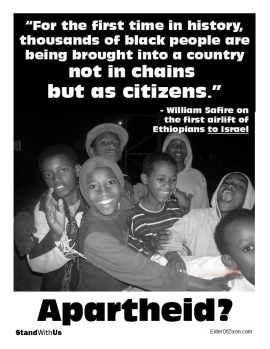 Brochure: NAG has produced a handout which can be printed on 6×10 cardstock: ‘Top 10 Reasons Why “Israel Apartheid” is an Insult to Your Intelligence.’ They advise that anyone who wishes to replace their logo and use it to print their own cards is welcome to do so: FRONT [PDF] REAR [PDF].